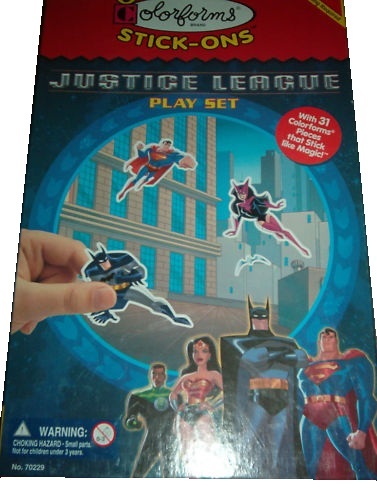 This orginal playset features the Justice League. This set is not covered in shrinkwrap and we do not know if it ever was. The box had been taped shut and it appears it may have been sold that way. We did open this box to verify that all contents are there. The bottom of the box has minor caving, but the contents are mint. The most important part, the top of the box, is mint to excellent condition!